Lara & Aaron had a beautiful and intimate ceremony in the mountains on a cold February evening. It was full of friends and family and their favorite things. After the couples’ portrait portion of the night was cut a little short, Lara & Aaron decided they would do a separate bridal session, and what a perfect time than to celebrate their 6 month anniversary! 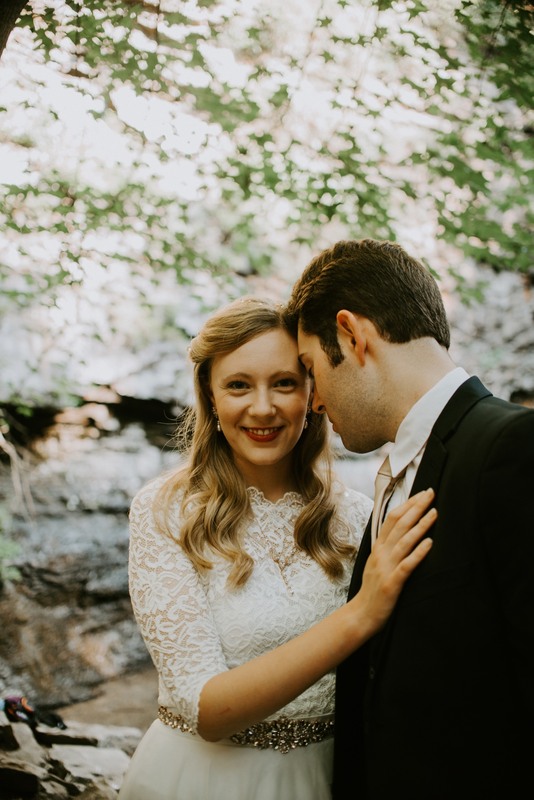 We hiked down to Cloudland in the summer heat, waded through water, and danced in the trees. They are truly such a beautiful and blessed couple. Having the privilege of photographing their engagement, wedding, and this bridal session, I so enjoy the time I’ve been able to spend with them.